Just a few hours after half the mole had disappeared in the shower, I decided to pick the rest of it off. As it felt just like a scab the mole actually came off pretty easily without me using much force. 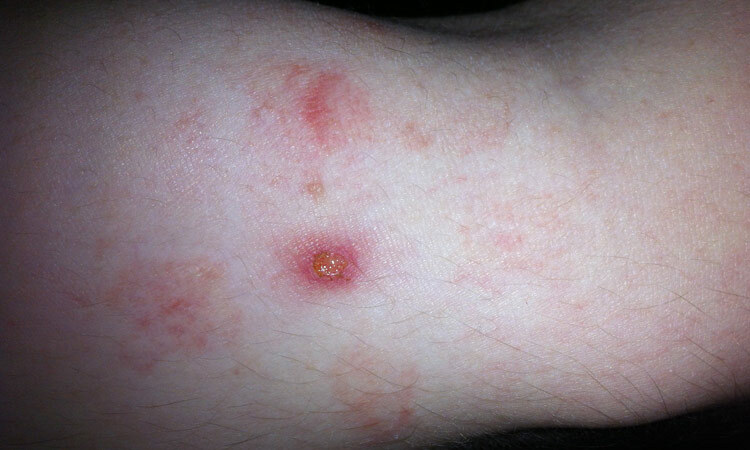 As you can see there is now crater in my skin but don't be alarmed as it is only about 1 or 2 layers. This will heal up nicely if I keep the area clean. To do this I am going to be using soap and warm water twice a day and to keep the area from getting infected I am going to be using Germolene and a band aid. Will keep you updated in a few days on how it's looking.